Question: First of all let me say how THANKFUL I am to have found this article! Every single vacation spot claims to be "the best" and to be frank, I come from a tourist area and that's an obvious marketing strategy. Anyway, this June I am to wed my other half and enter the world of marital bliss. We became interested in Cape Cod for our honeymoon, after friends who frequent raved about Provinctown and from others who have been going since childhood. As I stated, we live in a gorgeous, highly desired area in the Finger Lakes region in Western NY. We didn't want to go somewhere that felt like home in the summer, ie: traffic backed up, long lines at our favorite watering holes and 45+ minute waits for dinner. The thought of going somewhere tropical in late June, makes me sweat just thinking about it! Alas, the conclusion of New England. We are planning to venture on our quest 6/28 and return before the madness of Independance Day, leaving 7/3. Basically we would like a relatively quiet area, within a reasonable drive or walk to the beach. Quaint shops, mom and pops, a great spot for fresh seafood and most importantly ... somewhere to wet our whistles is ideal. I should also add we plan to take a day trip to Nantucket or Martha's Vineyard. Please, ANY sort of insight and direction would be greatly appreciated! PS - I was looking at a place minutes from Bay Beach in East Dennis. Any thoughts? Dee's Reply: Hi Leslie - Congrats to you and your beloved on your upcoming wedding, honeymoon, and years of wedded bliss that await you both! Before I get to some suggestions, let me just touch briefly on the issues of traffic tie-ups, lines at the local watering holes, and restaurant waiting times. It's tough to predict (actually, it's impossible to predict) how busy it'll be around here at the end of June. But generally speaking, late June is considerably more quiet than the first week of July. Independence Day week is usually the start of high season on Cape Cod. This year, with all the "snow days" the kids need to make up at school, I'm guessing many families might postpone their summer vacation travel until July 4th or later. So I can't imagine our roads, restaurants, pubs, beaches, etc. will be all that crazy-busy while you're here. If you've narrowed your choice of location to somewhere along Cape Cod Bay in the Mid-Cape area, I'd say your honeymoon planning is already off to a great start! There are some lovely, romantic B&Bs in that part of the Cape, as well as a good number of vacation rental homes and cottages that would give you newlyweds a level of privacy that traditional vacation lodgings sometimes lack. When I saw the word "honeymoon" in the title of your question, I was going to suggest that the Outer Cape/National Seashore area might be a great choice. The amazing scenery, phenomenal beaches, and the get-away-from-it-all atmosphere of the Outer Cape just scream HONEYMOON to me. So, if you've found lodgings in East Dennis, that's great! If you want to explore other options before you make a final decision, give some thought to Yarmouthport, Dennis Village, and Brewster, too. If you have a look at my map of Cape Cod towns, you'll see that these towns and villages are all on the north (Cape Cod Bay) side of the Cape. Overall, the north side has a more serene, laid-back feel than the south (Nantucket Sound) side does. 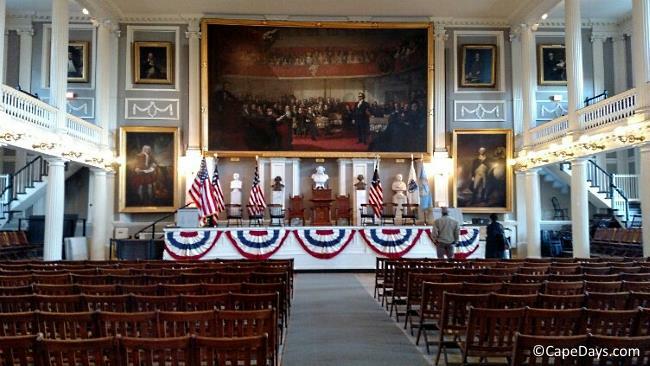 I think any of these locations would fit your desire for a relatively quiet place on the Cape, and still have you in a convenient location for everything you'd like to see and do. In any case, no need to worry about finding a great beach that's easy to get to from your lodging. The entire Cape Cod Bay coastline in Dennis and Brewster is one big stretch of beautiful beaches. Some of my favorties: Paine's Creek Beach in Brewster for it's nifty warm-water "floating creek". Chapin Beach in Dennis for its wide-open spaces. Cold Storage Beach in East Dennis for gorgeous, snuggle-up-with-your-sweetie sunsets. And Gray's Beach in Yarmouthport for wildlife spotting and amazing photo opps from the long boardwalk out over the marshlands - and beautiful sunsets, too. Plus, as I said above, it's also an easy drive from East Dennis to the National Seashore where the Atlantic Ocean beaches are the stuff of dreams! 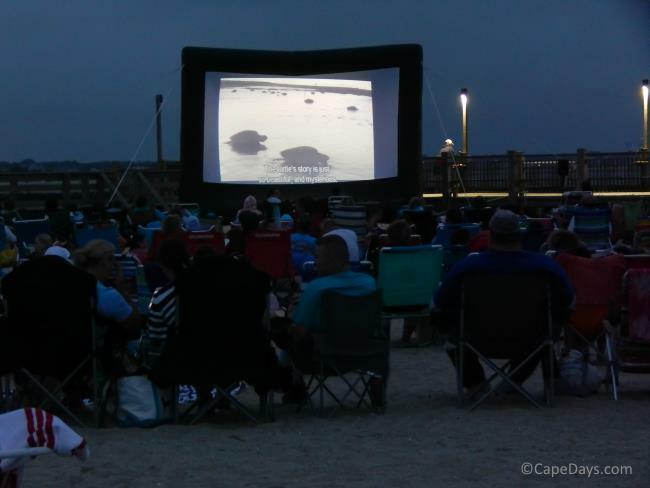 Here's a link to oodles of Cape Cod beach info in case you haven't had a chance to check it out yet. Easy, peasy! The north side of the Cape is full of little shops and fun places to chow down on seafood and sip adult beverages. Since I don't know what kind of a vacation shopper you are (crafts, antiques, art, clothes, etc. ), it's tough to give you any specific suggestions. But, not too far from anywhere in East Dennis are a few places I'd call a "must visit". First, Scargo Pottery. This is the coolest little hidden gem, tucked back in the woods off Rt. 6A in Dennis. Even if you're not a gung-ho pottery afficionado, I'll bet you a dollar that you'll be enthralled by the shop, the artisans' incredible workmanship, and the unique way they disply the handmade pieces in indoor and outdoor spaces. And, if you're there while they're creating new works of pottery art, it's really fun to watch the process. Go to Scargo Pottery. You'll be glad you did! Then there's the Brewster Store on Rt. 6A in Brewster. For a real step back in time, there's nowhere quite like the Brewster Store. Downstairs on the main floor there's everything from kitchen tools (the old-style kind you can't seem to find anywhere else) to bins and bins of the penny candies we loved as kids. This is just barely scratching the surface of the neat "mom and pops" in the area. But it's a good start for a shop-til-you-drop day. For a one-of-a-kind seafood experience, there's a lunch and dinner cruise boat that leaves from Sesuit Harbor in Dennis and takes passengers out on Cape Cod Bay. It's called Lobster Roll Cruise. Guess what their most popular fare of the day is? Yep, lobster. Their menu has non-seafood items, too. But hey, as the old saying goes: "When in Rome ...", ya know?! If you and your beloved are more the landlubber type, Sesuit Harbor Cafe is a funky, tasty alternative. The Cafe sits right next to the water and offers great views of the boats going in and out of the harbor. It's a BYOB place, you eat outdoors at picnic tables, and the seafood is reliably good. For waterfront cocktails, from East Dennis it's only about a 15 minute drive to Mattakeese Wharf Restaurant on Barnstable Harbor. On a summer evening, this is a wonderful spot to relax with your honey, sipping a tall cool one and watching the sun set. FYI: Mattakeese Wharf is in the same location as the whale watch cruise boat pier, if you're so inclined. Speaking of cocktails with a spectacular view ... on your visit to the National Seashore (yes, you absolutely do want to spend a day at the National Seashore!! ), check out The Beachcomber. It's a real, honest-to-goodness, old-style beach bar and restaurant that sits on top of the dunes at Cahoon Hollow Beach in Wellfleet. 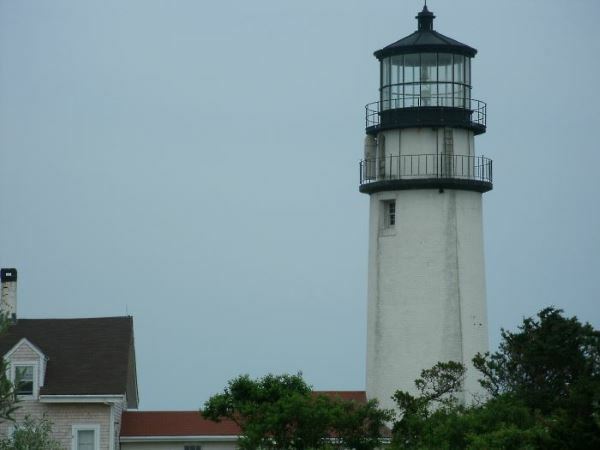 Calling "The 'Comber" (as it's affectionately known) a Cape Cod icon is an understatement. Generations of vacationers and locals go there every summer, year after year, to swill some suds, raid the raw bar, and hang out on one of the prettiest Atlantic Ocean beaches you'll ever see. I hope that gives you a good sense of the area you're considering. Once you've made a final decision on which part of the Cape you'll be staying in, just let me know and I'll be happy to give you more suggestions for places to eat, drink and play!